Everyone's favorite space pirates warp into stellar solo adventures! Corsair, Raza, Ch'od and Hepzibah are the Starjammers - roguish renegade freebooters fighting a guerrilla war against the tyranny of the Shi'ar Empire! But they'll soon learn that the enemy of their enemy is not always their friend - and when the fanatical alien race called the Uncreated declares total war on the Shi'ar, how much will the Starjammers sacrifice to save their longtime foes? Then, thrown across the galaxy with a new captain, the Starjammers embark on a violent mission! But are they the bad guys this time, as captured cadet Tolo Hawk believes? Or is their target, the Union of Intelligent Races, not quite what it seems? 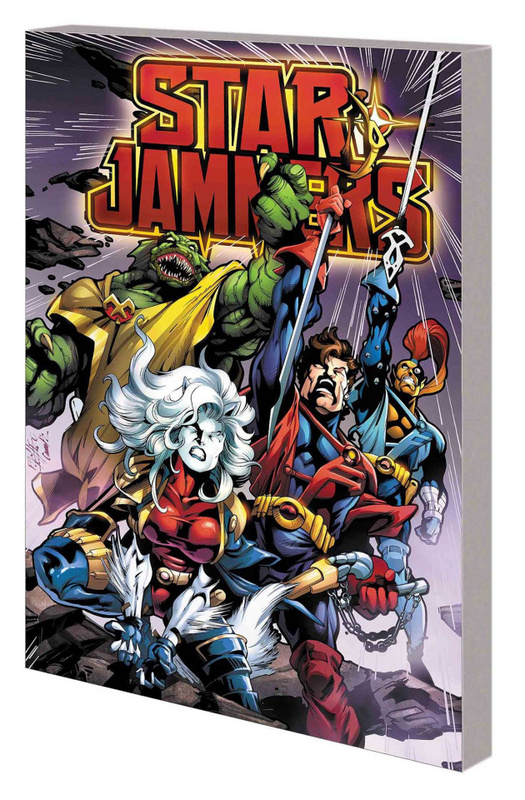 Collecting STARJAMMERS (1995) #1-4, STARJAMMERS (2004) #1-6 and material from X-MEN UNLIMITED (1993) #32.